The next generation iPhone X is here, but Apple’s traditional file manager software iTunes is still the same. Every iOS user faces different problems while managing the files in iPhone, iPad or iPod touch. iTunes is too slow to take backups and sync files in between your computer and iDevice. The worst thing I have about iTunes is the user interface. It’s very diplomatic to understand for a new user. Apple has made some changes in it, but I think, it’s still the same. For security purpose, Apple ecosystem doesn’t allow external memory card for iOS devices. To manage your limited storage efficiently, you need something which is simple but fast and powerful. I have tried many iOS management software before, but DearMob iPhone Manager has the fastest transfer speed I have ever used. Let’s know more about this management tool. 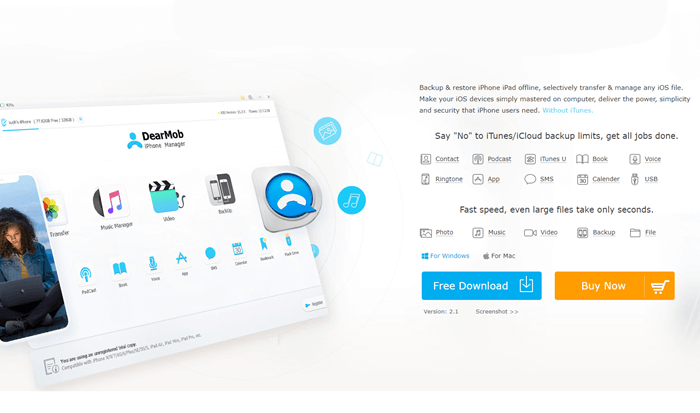 1 What is DearMob iPhone Manager? 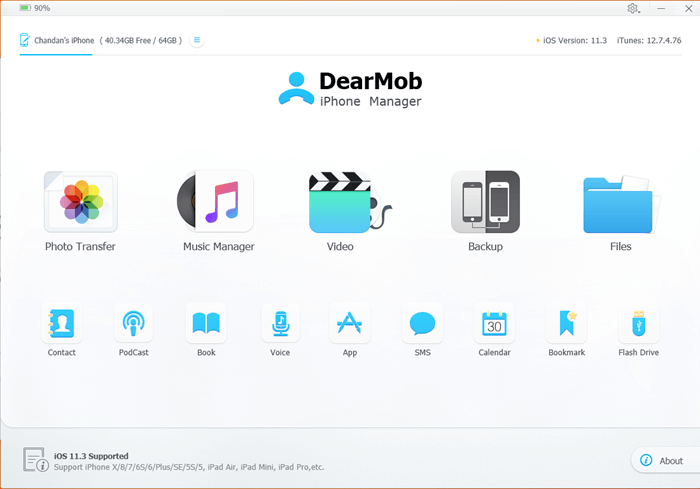 What is DearMob iPhone Manager? iPhone Manager is a product of DearMob, Inc., which develops media tools and full-featured mobile tools for Android and iOS devices. DearMob iPhone Manager is a tool specially designed for both Windows and Mac computers to fast transfer, photos, videos, books, contacts, and other files without having iTunes installed. You can also edit tracks of your music, videos, podcasts or create backups for your important data. This is not the end. Here, I am going to cover all of the important features of this amazing tool which makes it powerful than others. There is a lot to say about the DearMob iPhone Manager’s features, but everything is available in the official. So, here I have only described a quick overlook of this utility tool. The most powerful photo and video manager I have ever seen. The photo management system comes with an instant preview of your photos and you can easily export and convert HEIC to JPG in just a click. Adding music to your iOS device is never easy before. It allows you to add music by a file or a folder. You can edit the information of a song or can make it as a ringtone. With DearMob, it is so easy to backing and restoring your iPhone’s data. Simple, connect your iPhone and click on the Backup button. That’s it. If you want to secure your data, then choose the Encrypt option. Restoring is as easy as the backing up your data. Simply connect your phone and choose backup which you want to restore and click on the “Restore backup files” option. That’s it. DearMob allows you to manage contacts, podcasts, books, voices, apps, SMS, Calendar, Bookmarks. Even you can use your iDevice as a secret Flash Drive. 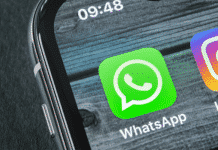 To manage your messages, you need to backup your phone first. Then you can see the information inside it. The best part of this software is, it can manage your iDevice without the help of iTunes. This thing makes it different from other software available on the Market. The official iTunes software is more than 200MB, but this utility tools only takes around 32MB to download. I think this is a big difference. The second thing I like about this tool is, the User Interface. It comes with a clean UI and everything is right in front of the Home screen. You don’t need to look navigate inside to access its major features like iTunes. A software should be easily accessible by everyone; even for a newbie. The other functions I like are, Fast Transfer Speed, Make Ringtone, Edit Music Details, and the Flash Drive. The Flash Drive feature is really unique. If you are a lot of free space and you don’t have a Pendrive to carry your data, then you can use this feature. In your iPhone or iPad, you can carry any kind of data which won’t need to be supported by your phone. The transfer rate is also superb, as compared to other tools available in the market. I didn’t get any problem while using the software. But, in my opinion, DearMob should include some of the features like, an inbuilt music player with basic functions rather than only play and stop. 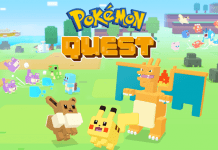 As like the image preview, they can also add a video player to it. It’s just a suggestion. The single-user license costs you around $39.95 with the one-year free upgrade, but the lifetime license is available for $47.95 for two PCs. The single-user license doesn’t justify the price, but the lifetime license is the best deal to start with. I think, they are forcing the users to purchase the lifetime license. After trying this management software for a couple of days, I can say everyone iOS owner should use DearMob iPhone Manager. This iTunes killer makes the iOS management much easier than before. If you afford the price, then go for it.